Don't you simply love your Wi-Fi network? That is, when you don't hate it from the bottom of your heart! For most people, wireless networks work great, as long as you are near them. Things change for the worse the minute you step into a room that's away from the router, though. Everyone knows about this problem, so there is no wonder that there are so many articles that teach you how to boost Wi-Fi signal by moving your router, and even using a ufl to rp sma adapter to replace the internal laptop antenna with an external, better one. Often times, these tricks work, and your tablet manages to load those heavy websites a bit faster. But sometimes things don't work as they should, no matter what you do. If this is the case, it's time to invest into a piece of hardware that will fix the problem for good. Sure, you will need to spend some money, but you will reverse the color of many of your gray hairs. So, what are these devices that can turn a weak Wi-Fi signal into a strong one, obliterating all the dead signal spots in your home? b) Repeaters, which can amplify a wireless signal, helping it reach a larger area. To make things even worse, the Wi-Fi adapter was enclosed into Mac Mini's aluminum case, of course, which was placed about 20 feet away from the router, being separated by it by three thick walls. Fortunately, the bridge picked up the Wi-Fi signal nicely, and I was able to connect it to Mac Mini's Ethernet plug, boosting the upload and download speeds by over 300%. Of course, the repeater is the ideal solution when you want to extend the range of the Wi-Fi signal, helping several wireless devices at the same time. Our first solution makes use of Wi-Fi signal, boosting it. But sometimes, the problem may be the Wi-Fi signal itself. What should you do then? Well, use a different technology, which doesn't rely on wireless signals! Powerline is a technology that makes use of the electrical wiring in your home to create reliable home networks. These powerline devices come in pairs. Basically, you plug one of them in the room that's near the router, and the other one in the room that needs a stronger Wi-Fi signal. The cable that runs from the router to the first powerline adapter will feed the data into the system. The data will be encoded, and then transported along the power lines. At the other end, the signal will be decoded, and then fed into the device that needs a stronger signal. Powerline devices provide higher speeds in comparison with Wi-Fi networks, especially if the distance to the router exceeds 30 feet or so. Their average prices range from $50-$100, and this may be the only solution that provides a strong Internet signal in an area that would otherwise be completely dead. Yes, sometimes you may fix the Wi-Fi signal propagation problems by simply purchasing a new router. As technology evolves, new router models are being launched on the market, and many of them use newer versions of the 802.11 protocol. 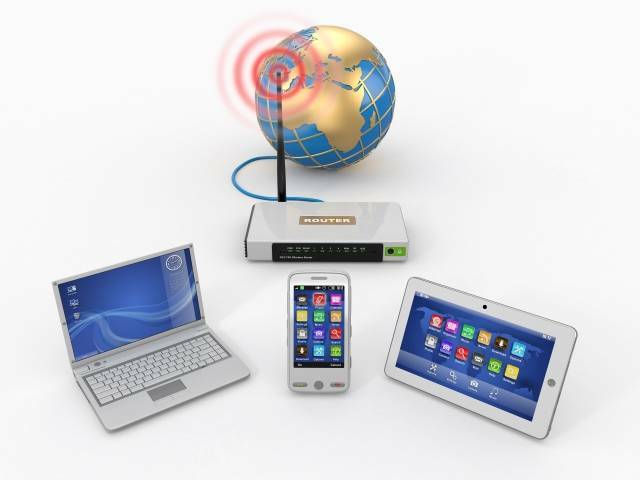 In addition to this, router manufacturers add all sorts of features that can boost Wi-Fi speeds and range by prioritizing traffic and using the antennas intelligently, for example. This means that the antennas are now able to focus the signal towards the areas that need it most. Couple this feature with the ability of setting data upload and download limits for all the devices in the network, and your $50 router may be one of the least expensive hardware investments that you could make to significantly boost the performance of your Wi-Fi network. And there is more: newer routers have patched all sorts of security holes, so they are much less exposed to external threats.